Hello and welcome back to my site! 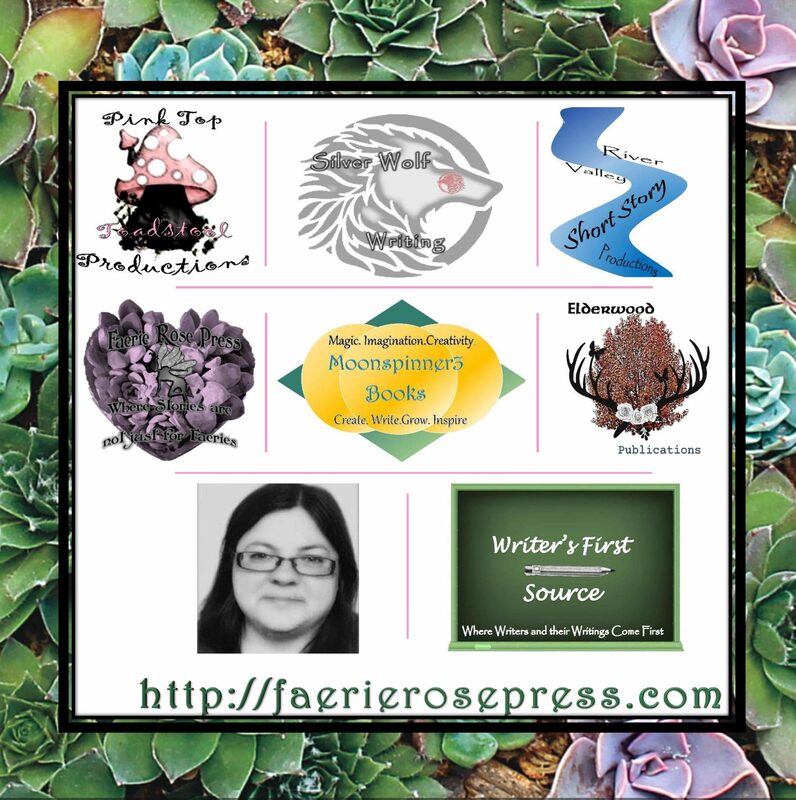 Yes, as you can guess I have made some slight changes to the website header and the logo to Faerie Rose Press. One of the reasons for the changes was that I hated in the previous version there was that blank square and I also hated that I could not fit in the logo for Writer’s First Source. Now as you can see from the header there is also now a new logo for a new imprint called Silver Wolf Writing. Silver Wolf Writing is a direct imprint of Moonspinner3 Books, that allows for me to publish works that are either non-fiction and what also may be considered creative non-fiction. Yes, granted I’m mostly about fiction writing but there are times when we as writers that focus on fiction need to take a break from fiction writing and dive into the world of non-fiction. Therefore, that is where Silver Wolf Writing comes into play. Here is the story behind Silver Wolf Writing, is that as I have been starting to think about what I want to accomplish this year, I also started thinking about publishing a book of essays. Let’s face it, not all essays are for academic purposes for there are times when we just need to write or rather jot our ideas down on paper. Sometimes it can be crap, but when they are pure genius, that is when you want to share with it others. Therefore, one of the things that I want to accomplish this year is a book of essays. There may also be a memoir in mind too, but I have not yet decided. As I have mentioned on here before, I want to make this year all about the craft of writing. I want to explore, write, and publish. I am also in the process of working on re-working and re-publishing my poetry collection, Poems in a Milk Bottle. While I am also working on the second draft of Ravages of Time. You may ask why, and the answer is simple, I feel that I rushed the poetry collection to publication and I want to add some new poems all the while, doing a really good relaunch. So look to that happening. I’m also thinking about re-publishing some of the short stories that I previously published last years as well. There are many things that I want to do and redo as well. That is one of the blessings of being self-published and owning your own business, is that you can make these sort of decisions. This is also part of me learning about running this business and learning about marketing as well. I feel that while this year is still new, and fresh I can take the time to build my business and my brand right. Now please, do not take this as I am restarting this website. Heck no, no one has time for that. I know that I don’t have time for that. I’m just doing things to make my brand stronger than it was yesterday. I know that you are probably sick of me changing things up, but look at other businesses that have made changes over their lifespan. The one takeaway from all of this is that when you make writing your business, and you are still new and trying to make an impact and market your business, you try to be consistent on what your image, brand, and your message looks like. My message is that writing can be obtainable if you put forth the effort. There is a saying that we have in the alpaca world, which I also feel is appropriate for the writing: What you put into your writing is what you are going to get out of it. If you don’t put the time or the effort into it, then it is not going to pay in the long run. Granted, I have learned the lesson and continue to learn that lesson. Therefore, I want to make better choices and not just choices that need to be rushed into. That is something that we all should do when it comes to thinking about the choices that comes from trying to make writing a business. I hope that you have a great writing day! Happy creating until next time! ← Happy New Year!!! Welcome to 2019!! !